St. Stephen’s Cathedral, Vienna, Austria. 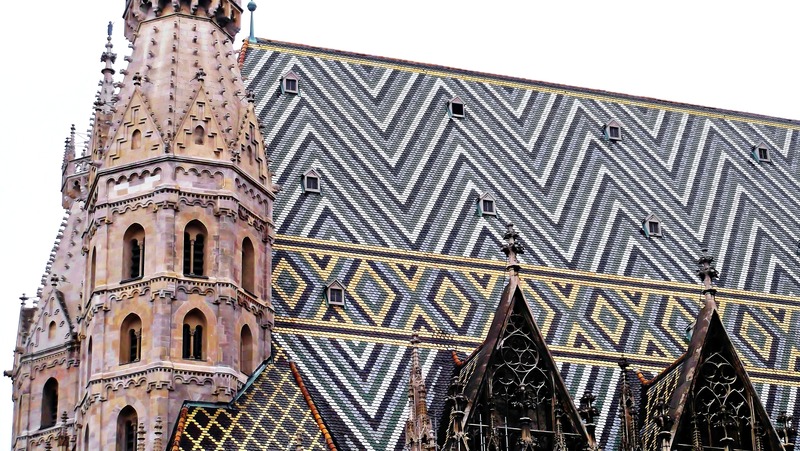 This is the incredibly beautiful roof of St. Stephen’s Cathedral in Vienna, Austria. St. Stephen’s Cathedral is a Roman Catholic church which was built between the 12th and 15th century. 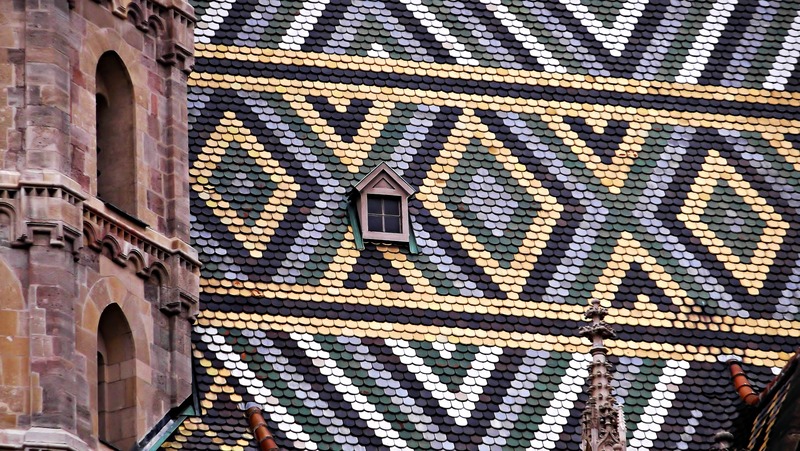 Its famous roof is covered by 230,000 colored and glazed tiles. On the north side, it shows a zigzag pattern and in its middle part rhombuses enclosed by lines. More about my trip to Vienna and St. Stephen’s Cathedral soon on this blog! That’s actually what prompted the invention of binoculars. Or balloons to get closer. This is amazing. 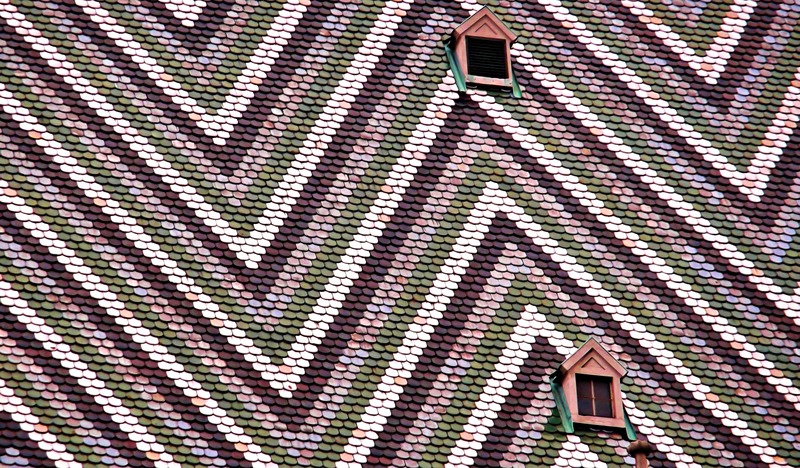 I wonder how ling it took to make the patterns on the roof? Unfortunately, I don’t know. I was trying to get more information about the colored tiles on the internet, because I couldn’t imagine them being used in the 12th century. But it was difficult to find valid infos about it. All I know is that the roof had been distroyed during WW II, and they rebuilt it. They say, though, that the roof looked this way before. Thank you! It’s a great photography subject! That’s why a chose it for this week’s challenge 🙂 And thank you for following my blog! This is the perfect building for this week’s challenge. I’m looking forward to seeing photos of the inside now. I’m so glad you posted this. I was there last year ( and posted about it: http://wp.me/p1zSwJ-1Kk). Your roof shots are much better than mine! Can’t wait to see your interior views! Great choice for the zig zag challenge. Perfect response to the prompt! This brings back memories…. of three weeks ago! I wish. LOL! They’re most probably scattered somewhere in a box or piled up among magazines in an envelope. But they’ll emerge, eventually. 🙂 It’s been well over 20 years when I had them developed (another ancient term) and moved several times since then, too. LOL! What an amazing pattern. Great!